Greetings, fans and friends of the Slavic Chorus! We’ve got some very exciting updates for you. 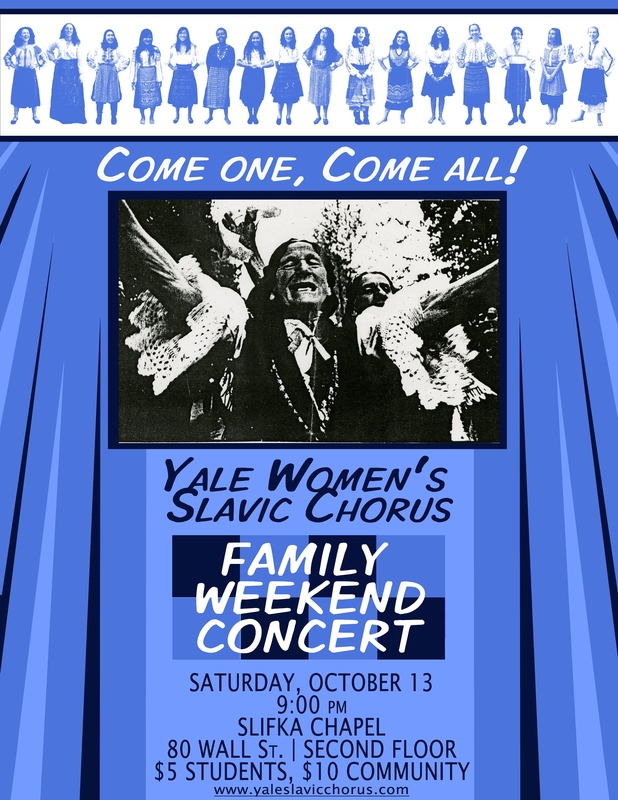 Our first full-length concert of the 2012-2013 season is this Saturday, October 13th at 9:00 pm in the Slifka Center Chapel [80 Wall St., Second Floor]. We’ve decided to include a standing publicity calendar on the Concerts, Tours, and Workshops page of our website so you can keep track of all of our upcoming and distant concerts and plan accordingly. You can use the calendar to see all of our upcoming performances and workshops. We’ll keep it as up-to-date as possible. Be sure to click on events of interest to find out more detailed information concerning where the events are taking place and what other groups we might be collaborating with. You can subscribe to the calendar and have it automatically added to your own personal GCal by clicking on the icon in the bottom right-hand corner. Our new CD has officially been finalized and ordered and will be available for purchase very soon! We’ll keep you posted once it is available. We’ll be hosting a CD release extravaganza once we’re actually holding the product in our hands, and we’ll be sure to let you know the details for that event as well. We’re so excited and proud to share this CD with the world and are very grateful to everyone who helped make it possible.